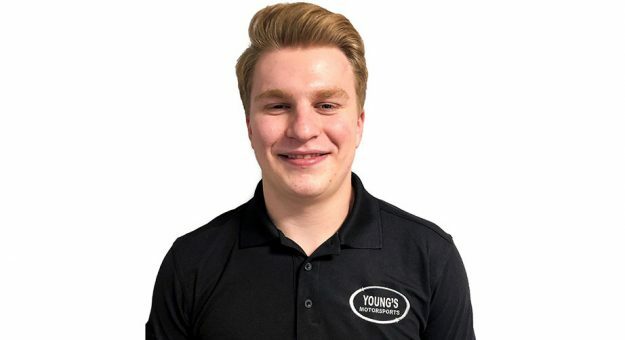 Mooresville, N.C. —Young’s Motorsports has signed Tyler Dippel to its lineup for the 2019 NASCAR Gander Outdoors Truck Series (NGOTS) season. Dippel will pilot the team’s No. 02 Chevrolet Silverado, joining teammates Spencer Boyd and Gus Dean. With this news, Young’s Motorsports expands its fleet to three full-time Chevrolet Silverados, following the previous season’s two-team effort. It will be the first full-time season for Dippel in the NASCAR Gander Outdoor Truck Series. The Wallkill, N.Y. native will contend for the 2019 Sunoco Rookie of the Year honors. A dirt racer by trade, Dippel made his NASCAR Gander Outdoors Truck Series debut on July 18, 2018 at Eldora Speedway, the high-banked, half-mile oval located in Rossburg, Ohio. Dippel collected four top-15 finishes across five starts in 2018 – with 782 of 784 laps completed. The partnership kicks off with the season-opening NextEra Energy Resources 250 at the Daytona on Friday, Feb. 15. The NextEra Energy Resources 250 will be broadcast live on FS1 on Friday at 7:30 p.m. (ET).